L: Blessed José Luis Sánchez del Río. R: Paulina Gálvez Ávila holds her daughter, Ximena Guadalupe, who was cured through Bl. José Luis' intercession. Photo via Facebook and Catholic News Agency's article linked herein. One of the things I love best about Catholicism (I am a convert as of 2000) is the wealth of saints we have to call on for help. For my non-Catholic readers, let me hasten to add that there is no worship of saints. Rather, they are called upon to pray and intercede for us - exactly as I call upon you to pray for our causes and you call upon friends and family to pray for your intentions. It is just that simple. We call upon saints via prayer because they are deceased and in Heaven. There is no other way for us to call upon them. So with that out of the way, let me tell you about a saint I just learned about and who my husband suggested would be a perfect patron saint for those of us who fight against euthanasia in all its manifestations (such as TADA): St. Jose Luis Sanchez del Rio. Blessed José Luis Sánchez del Río was brutally tortured and killed when he was 14 years old during the 1924-1928 religious persecution by Mexican President Plutarco Elías Calles. José Luis had enlisted in the ranks of the Cristeros, under the command of General Prudencio Mendoza. You can read even more about him and his companions here. Why is he a patron for us? Because his intercession healed a little girl who doctors had determined to be "brain dead" and who had advised a little girl's parents to pull the plug on her to hasten her death. 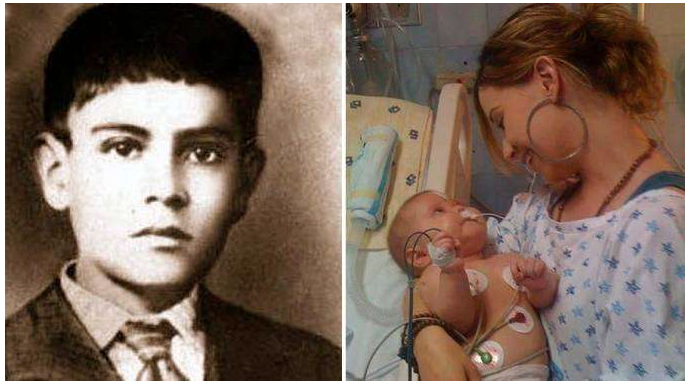 The miraculous cure of a baby with brain damage through the intercession of Mexican martyr Blessed José Luis Sánchez del Río has been approved by the Vatican, completing the final step for the teen’s path to sainthood. Pope Francis signed the decree Jan. 21, verifying the inexplicable recovery of a baby who doctors said had “no hope of survival” due to a myriad of health problems including brain damage caused by a stroke as a miracle attributed to Jose Luis Sanchez del Rio, a teenager who was martyred for his faith during the Cristero wars of the 1920s. Ximena Guadalupe Magallón Gálvez was just a few weeks old in September 2008 when her parents took her to Sahuayo in the Mexican state of Michoacán where Bl. José was born. During the visit, Ximena began running a fever that her regular doctor was unable to treat, her mother Paulina Gálvez Ávila said in a post on the Facebook page dedicated to Bl. José. Concerned that the fever was a sign of something more serious like pneumonia, the doctor sent her to have X-rays at Santa María Hospital in Sahuayo where doctors ruled out that disease, but were still unable to treat the fever. Her parents took Ximena to get a second opinion from Dr. Rosendo Sánchez in Aguascalientes State who had the child readmitted to the hospital, saying that she might be suffering from atypical pneumonia. “We spent two months living that nightmare and (the doctors) didn’t know what was going on since she wasn’t responding to any treatments,” Mrs. Gálvez said. They sought another opinion from Dr. Adán Macías who diagnosed her with pneumococcus, a bacterial infection that can cause several different life-threatening illnesses including meningitis, severe pneumonia, and bloodstream infections. Ximena was transferred back to to Aguascalientes where Dr. Rosendo discovered that Ximena’s right lung was filled with fluid. She would need to immediately undergo an operation which could be very risky on such a young child. “Dr. Rosendo spoke with us and informed us that she would have to undergo a very delicate operation since she could bleed and die. We gave our consent and we told him to do whatever it takes to save little Ximena and that we were putting her in God’s hands,” Mrs. Gálvez said. Concerned about their young child’s worsening health, the couple decided to have her baptized before the operation rather than waiting until she was older. The operation was successful, but upon examining lung tissue, doctors discovered that Ximena had been suffering from tuberculosis. “When they told us it was in fact tuberculosis and they brought her to us in the room, she looked strange, just staring off with an empty look in her eyes. We talked to her but she didn’t react. I told the doctor she looked bad, it wasn’t my baby because she was always smiling before,” the mother said. The baby underwent began intense treatment for tuberculosis, but her health took a turn for the worse when doctors informed the parents that baby Ximena had suffered from a stroke, causing 90 percent of her brain to be dead. “Dr. Rosendo arrived and crying I begged him to save my daughter. They put her into an induced coma and gave us 72 hours to see if she would live, since 90 percent of her brain was dead,” she said. During those three days, Ximena’s parents went to Mass everyday “to ask God and Joselito to intercede for my baby, that they would work a miracle” she said, using the affectionate nickname her family had for Bl. José Luis Sánchez del Río. The doctors took Ximena to do a CT scan and an encephalogram. They were surprised to see that 80 percent of her brain had recovered. When they examined her the next day, her brain had become completely healthy again. Even after such an inexplicable recovery, doctors told Ximena’s parents that as a result of the temporary brain damage, she would never be able to eat or walk properly and that would most likely be blind and deaf and unable to speak due to the stroke. However, when her mother gave her a bottle of milk at the hospital, she drank eight ounces right away. The doctors were astonished. Contrary to all of the doctors predictions, Ximena completely recovered and is “perfectly well thanks to God and the intercession of Joselito,” Mrs. Gálvez said. That article is from January of this year. Blessed Jose is now Saint Jose whose Feast Day is February 10. Yay! "Appropriate measures" is a code for withdrawing life-sustaining care. This miracle is stunning and gives us hope and a patron saint! But what I also find stunning is that the doctors here continued to insist that the baby was still going to be severely disabled even though the CT scan and encephalogram showed that she was completely recovered. This is consistent with my experience that doctors in these "futile care" cases are not only going to give you the worst case scenario from the beginning, but will continue to do so even where there is objective evidence of improvement. There is a mindset that death is the only reasonable solution and there is a bias against giving the body time to heal. Not all doctors are this way, but unfortunately, they are not the ones we deal with when a futile care case arises or we would not be in a futile care situation. As we pray for the Judge who will decide the important motions being decided in the Chris Dunn case, let us ask for St. Jose Luis Sanchez del Rio's pro-life intercession.